Chess improvement is a balance of fundamental knowledge alongside a proper "chess algorithm" or thinking system. A good coach can help you build that foundation and show you how to go about solving problems in chess on your own. My students are ages four to sixty four and range in skill from novice to master (see the Results Section). It is never too late (or too early) to begin the process of building a strong foundation and a clear method to chess thinking. If you are interested in receiving chess lessons please send a brief chess bio using the contact form; How long you have been playing ? What is your tournament/rated experience (none is fine) and what if any training materials have you used ? Most important think about your goals in chess and share them with me. It is ok to dream big, but be honest with yourself in terms of how many hours a week you can spend on chess outside of the lessons. I can provide you with solid coaching, but in order for you to get the most out of the experience you will need to spend at least another 2-3 hours a week working on the material we cover. "I contacted Coach Carl after seeing that he lived close to me. I had never been rated higher than 1149 and had fallen to 1050 after not playing chess for 15 years. Carl's pragmatic and natural coaching approach led me to gain 250 pointing in rating in 6 months. He inspired me to reach for the stars and gave me the tools to get there. I cannot promise you 250 points in 6 months, but there is no better coach in the US. I have taken lessons from IM's, GM's and several other internet schools. Carl's internet lessons are like none other. He explains the key elements of the game, gives you what you need to improve, and understands motivation - he is more than a instructor: he is a real coach. If you want real results, regardless of your rating, he will raise your game." Dr. Randall K Julian, Jr. Ph.D.
Technology has opened up access to innovation in chess learning like never before. Online chess training using Skype and sharing screens is an excellent and streamlined way to receive chess knowledge. I want to emphasize the strength of this platform; if you are new to Skype have no worries I will walk you through the set up process and make it a smooth and fun learning experience. After the lesson you will receive a PGN (portable game notation) that contains analysis, homework and suggestions for self study. If you are new to chess database usage do not be concerned. Most of my many student are first time users of PGN files and quickly catch on to using them with my guidance. Regular files will be part of the training as we create a study plan to help you achieve your chess goals. 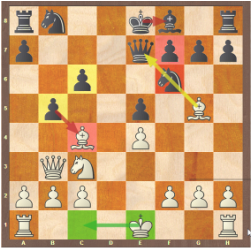 Optional or in addition to the PGN files is the custom chess training features of Chesstempo.com where I will be monitoring your tactical progress and assigning you custom problem sets for you to master opening and middle game formations and endgames. 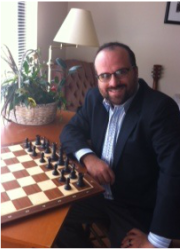 I am a full time chess coach that works to serve my students in the most flexible and efficient manner possible. If you have special needs or concerns with pricing or schedule do not hesitate to contact me and let me know your concerns. The cost for a one hour time block is $45. Please use the contact form below to further discuss a chess evaluation schedule that works best for you. On a limited basis I am available for in person private lessons at your home. The fee is $75 for a 1.5 hour session. I look forward to helping you build a strong foundation for a future of success in chess!